C.J. Anderson has been absolutely incredible since being signed off the street by the Los Angeles Rams in Week 16 and it looks like the oddsmakers are finally giving him the recognition he rightfully deserves. 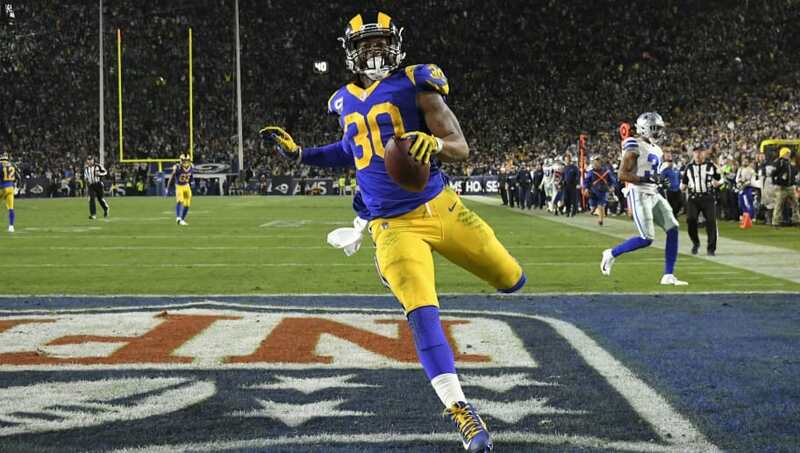 Thanks to his unreal 123 yards rushing and two touchdowns against the Dallas Cowboys in the Divisional Round, ​FanDuel Sportsbook has amazingly given Anderson the same odds to win the Super Bowl MVP award (+3000) as his All-Pro backfield-mate, Todd Gurley. Anderson has ​arguably been the best runnin​g back in the NFL over the past few weeks, tallying an incredible 422 yards rushing and four scores in just three games with L.A. Ahead of the two running backs are the QBs for the four remaining teams, led by Drew Brees (+230), the signal caller for ​the Super-Bowl favorite Saints. Patrick Mahomes (+300), Tom Brady (+400) and Jared Goff (+400) fill out the top four in the Super Bowl MVP odds list. ​The recognition is well deserved by both ​Anderson and Gurley, based on their body of work, but it'll be tough for either player to take home the coveted award. Judging by recent trends and the players listed at the top of the list, it'll take an unreal performance by either back in a Rams Super Bowl win to shake the quarterback bias of the MVP award.